Why is car insurance for new drivers so expensive ? You’ve finally passed your driving test and are itching to get out on the road. But first you’ll need to get insured, and new car insurance for new drivers can be expensive. Unfortunately, inexperienced motorists are seen as a big risk for insurers and this is reflected in the price of car insurance for new drivers. Statistically, one in five new drivers are involved in a crash within the first 12 months of passing their test and motorists between the ages of 17 and 25 are responsible for a third of all fatalities on the road. Traditionally, women drivers have had a slightly easier ride when it comes to car insurance. Again, statistics have influenced insurance providers as women are less likely to drive dangerously and make claims, with men receiving 92% of total driving convictions in the UK. However, in December 2012 this all changed with a ruling from the European court of justice stating that insurers could no longer take gender into account when calculating premiums. Therefore, new female drivers are likely to experience higher premiums than they would have done in the past. Could black box insurance help ? One option which could result in cheaper new driver car insurance quotes and also help female motorists overcome the European Court of Justice ruling is black box insurance. This is a relatively new form of car insurance where a vehicle is fitted with a ‘black box’ data recording device which is about the size of a smartphone. The device records driving performance, taking into account whether speed limits are adhered to and also monitoring cornering and braking. This helps the insurer build up a profile of the policy holder and offer them premiums which take into account their overall performance and the statistical likelihood of them being involved in accidents. If you are looking for car insurance for new drivers and consider yourself to be a very capable and safe motorist, then you may well find yourself paying less for car insurance cover if you opt for a black box insurance policy. No matter what, car insurance is compulsory and you simply have to be covered. The government recently began a crack-down on the large number of uninsured drivers with the introduction of Continuous insurance enforcement (CIE) which states that every car, whether on or off the road, has to be covered. The only exception to this is if the car is declared SORN. Those risking driving without motor insurance are not only committing an offence, but they can also expect to be hit with steep penalties. This could be a fine, court prosecution or your car being seized and destroyed. So, although car insurance for new drivers is likely to make a dent in your finances, going without just isn’t an option. However, the good news is that there are some tricks to help lower costs. Shop around : never just accept the first new driver car insurance quotes you get. Shopping around and comparing prices will allow you to weigh up your options and get the best value for your money. Reduce your mileage : one of the things insurers will look at is how many miles you estimate you’ll be covering over the course of the year. The less you are out on the road, the less of a perceived risk you are. Therefore, if you can reduce this by using public transport or getting involved in a car share you may save money on your premium. Take an advanced driving course such as pass plus : as well as improving your driving, insurers will look favourably on this extra experience and it may result in cheaper new driver car insurance premiums. Opt for a higher excess : opting to pay a higher excess can reduce your premium, just make sure you would actually be able to afford this if you did need to put in a claim. Buy online : purchasing your car insurance online often attracts discounts. 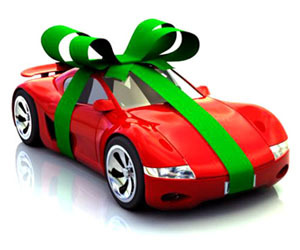 You can also find online new cars with free insurance. Keep your car safe : you will often be offered cheaper new driver car insurance quotes if the insurers believes that vehicle is less likely to be stolen or vandalised. You can achieve this by simply parking the vehicle in a locked garage at night or at least off the road on a secure driveway. If this is not possible, then you could look at adding security enhancing devices such as immobilisers, tracking devices and alarms. Named drivers : if you add a named driver to your policy who is older and more experienced, the car insurance provider will likely offer cheaper premiums because they will assume that driving responsibilities will be shared and hence the riskier motorist will be spending less time behind the wheel. This often results in cheaper premiums. You can read more about this on guide to named driver car insurance. Black box : the before mention black box, or pay as you go car insurance policy could potentially be a great way to overcome statistics and prove to insurers that not all new drivers are bad drivers.